E10 - 極細眼線筆 Small Eye Liner: Precise application of liner. Use with gel or liquid liners. E15 - 平角眼線刷 Flat Definer: Sharp and precise application. Press product along upper and lower lash lines to create an easy thin liner. Works with gel, liquid or powder products. E20 - 短刷毛眼影刷 Short Shader: Concentrated color application. Apply color onto small areas of the eye such as the outer eyelid. Also use to smudge the lower lash line. E25 - 暈染刷 眼影刷 Blending: Controlled blending. Blend colors together onto the lid with added control. Buff out harsh lines for a well blended effect. E35 -眼影刷 暈染刷 Tapered Blending: Controlled application of crease color. 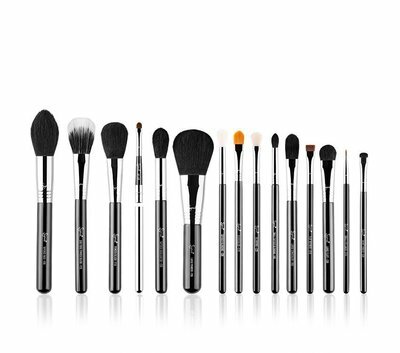 Using just the tip of the brush to pick up color, apply directly onto the crease and sweep through. Effect is blended, but defined. E45 - 小暈染刷 Small Tapered Blending: Precise color application onto the crease. Picking up color with just the tip of the brush, apply intense colors to the crease to add depth and dimension to the eye. E50 - 大眼影刷 Large Fluff: Controlled highlighting. Apply highlighting shades onto the brow bone or upper cheekbone. Gives a soft and blended finish. F10 -蜜粉/腮紅刷 Powder/Blush: Precise placement of blush. Use for powder application. F15 - 雙層刷毛蜜粉/腮紅刷 Duo Fibre Powder/Blush: Soft blush application. Generates a diffused blush application. Works especially well with mineral product for a natural and delicate effect. F20 -大蜜粉刷 Large Powder: Controlled bronzer application. Bronzing of the cheekbones and temple area. Using the flat side gives definition and control. 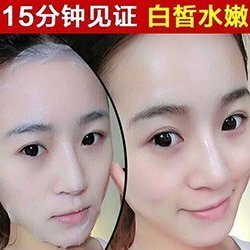 F25 - 鬱金香刷打亮刷修容刷 Tapered Face: Exact product placement onto cheeks. Apply powder, blush or contour shades onto the cheeks and temples. Tapered shape gives exact placement of product. F35 - 修飾刷修容刷打亮刷 Tapered Highlighter: Subtle highlighting. Apply highlighting shades onto the upper contours of the face. Diffused finish gives skin a natural glow. F65 -大遮瑕刷 Large Concealer: Conceal larger areas of the face or body. Works well with liquid or cream products. F75 -基礎遮瑕刷 Concealer: Precise product placement. Use around the lip area to conceal when wearing bold lip colors. L05 - 唇刷 唇筆 Lip: Precise application of color onto the lips. Use the firm edge to define and contour the lips.